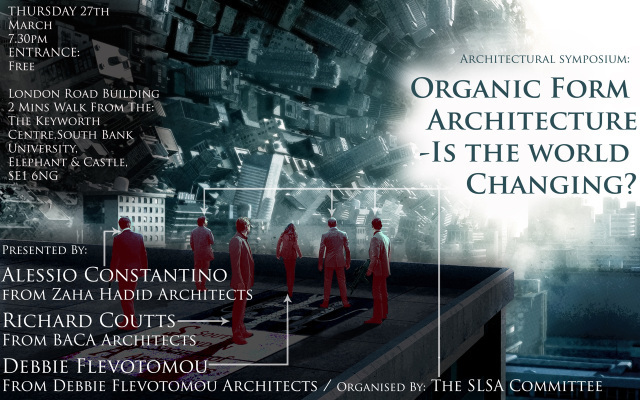 Architectural Symposium – Organic Form Architecture.Is the world changing? – Is organic architecture the new Modernism? – What are the benefits of organic design? Three industry experts will present their work and discuss their good and not so good experiences! AN EVENT NOT TO BE MISSED BY ANY ARCHITECT or STUDENT! Please email ribasouthlondonbranch@gmail.com to secure your place.